It’s that time of year that we start to reflect on past months. We think about what went well, what could be done differently, and evaluate the impacts that we have had on the community. For us, 2014 was the “year of the taste test” as we honed our model for cafeteria tastings and shared what we had learned with school districts throughout the southeast. 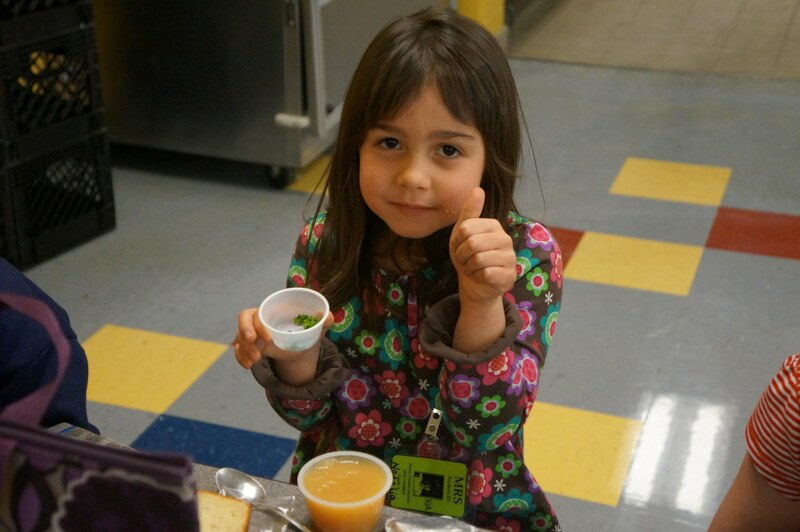 ASAP’s Growing Minds Farm to School Program declared 2014 the “year of the taste test” for many reasons. First, it’s a great way to introduce children to a fresh, local food. Secondly, if the cafeteria staff see the children engaged and willing to try it, perhaps it might convince them to menu that food product. A third reason – it’s something you can do for a whole school, which builds a real community spirit around the taste test. Fourth is the connection you can make to the curriculum, bringing the cafeteria into the educational realm. Another reason, and perhaps the most important piece for sustainability: it’s affordable. We’ve crunched the numbers and the average cost for a cafeteria taste test (for 500+ kids) is $26.89. Finally, we believe children can be change agents – if a child goes home excited by cucumbers, you can bet that the family will be eating cucumbers soon. After conducting over 50 taste tests in 2014, we think it’s safe to say that these experiences change student’s opinions of vegetables and willingness to try new foods for the better. If you want to support our efforts in continuing to connect students to fresh, healthy local food and farms, please consider a donation to ASAP! Any gift given to ASAP between now and the end of the year will be matched dollar for dollar up to $50,000! Make your donation today and help us transform the food system. Thank you for your support!